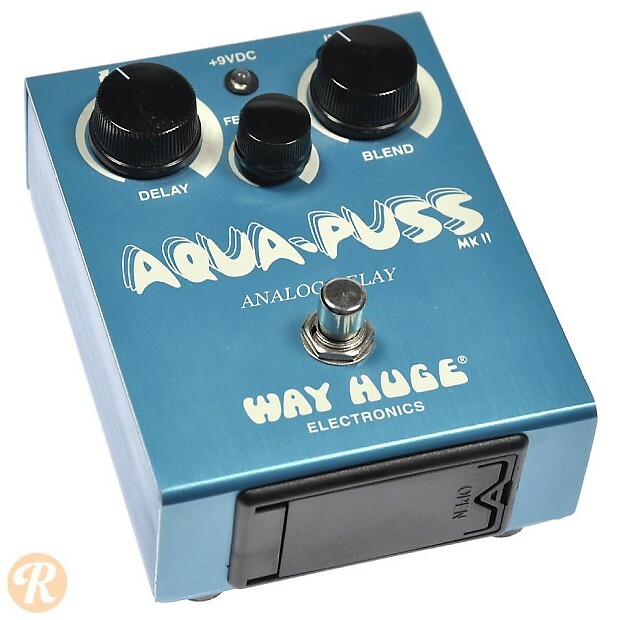 Way Huge was a boutique brand created by Jeorge Tripps that churned out analog pedals in the '90s. 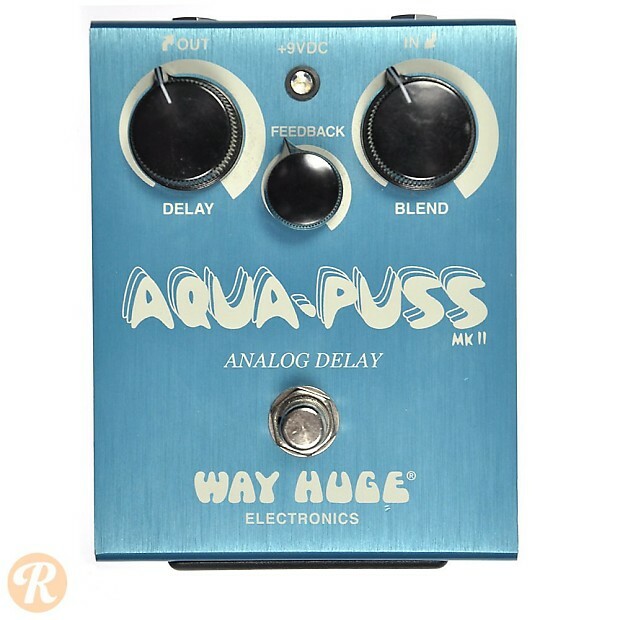 Starting in 2008 Dunlop began reissuing the original Way Huge pedals as well as adding new pedals to the line-up. 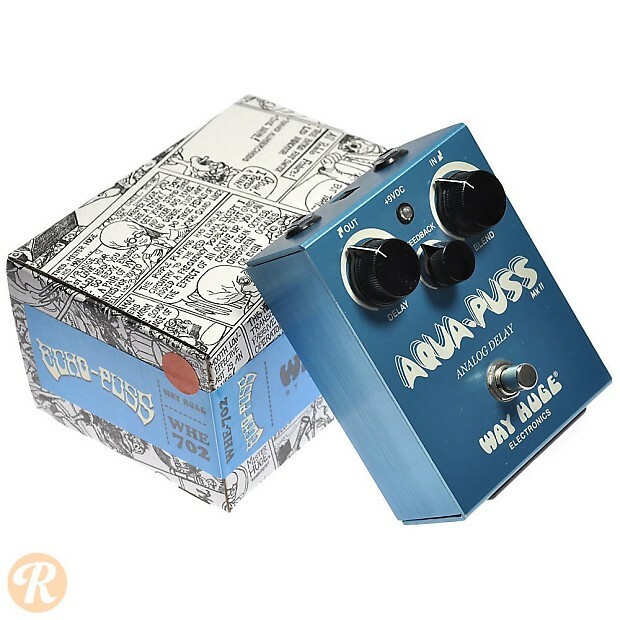 The Aqua Puss (WHE701) is an analog delay pedal with delay, blend, and feedback controls.